Did you know that pets need blood too? Our hospital treats numerous patients throughout the year that require blood or plasma transfusions vital to their recovery process. 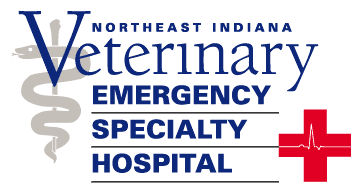 Pets that suffer from trauma, anemia and coagulation/bleeding disorders are the most commonly seen patients that require these services. The demand for blood products continues to increase and we need the help of willing volunteers to meet this need. Your dog or cat may qualify as a blood donor and be a hero for those in need! Call our office and ask to set up a screening appointment with Andrea Wyatt, Outpatient Services Supervisor. During your initial visit we will take a small blood sample to determine your pet’s blood type and assess their personality. If they have the right blood type for the program your dog or cat will have complete bloodwork and be screened for blood-borne diseases. These tests are performed yearly at no cost to you for as long as you participate in the program. That’s a $500 value! Additionally, all donors are paid $25 per donation. Will it hurt my pet to donate? The actual process of donating blood is simple and pain free. It takes about 30-45 minutes and blood is taken from the jugular vein – the large vein that runs along the neck. Dogs are given light sedation and cats are anesthetized so they won’t feel a thing! Giving blood will not hinder their activities, but they should rest and take it easy the day of donation. How often will they donate? The frequency will depend on the need but most pets donate on an average of every 3 months. A complete physical examination will be performed by a veterinarian prior to each donation. It is important to continue your pet’s routine preventative care (heartworm prevention, vaccinations, etc) while they are active in the donor program. Blood products are stored right here in the hospital in a special blood bank refrigerator or freezer. Thank you for considering our blood donor program! Participation in the program means that you and your pet are taking an active role in saving the lives of fellow pets in our community.